In October we teamed up with Honest Mum to find out whether, given the choice, families would choose a winter sun or winter sports trip this year. We had a fantastic response, with over 5,000 replies – so to say thank you we gave on lucky participant a £100 John Lewis Voucher. 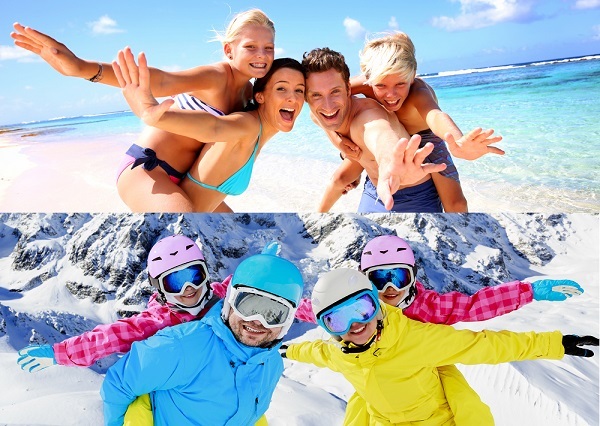 The results of the survey were very interesting, and found that 88.8% of respondents would choose a winter sun break, compared to just 11.2% who would choose a winter sports adventure. The reason for this landslide result could be due to the horrible winter weather in the UK, or perhaps because parents are concerned about taking their children on an activity based holiday. 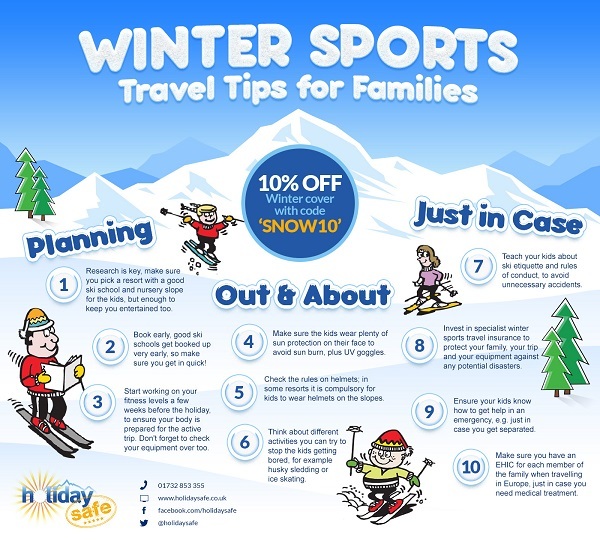 To help parents worried about winter sports trip, we created the handy infographic below with our top tips for achieving the perfect family ski trip. Whether you’re planning a winter sun or winter sports break this year, remember to invest in quality travel insurance before your trip to protect yourself and your family against any unexpected holiday disasters. Visit Holidaysafe.co.uk for more information on award winning travel insurance.